Law schools are facing unprecedented challenges brought about by the nationwide downturn in student applications and a host of other changes and transformations. New law school teachers, including those joining law school faculties as tenure-track, lecturer, clinical, or visiting appointees, need to understand these challenges in order to succeed in their new careers as scholars, teachers, mentors, and institutional citizens. At this workshop, participants will be able to share their experiences and concerns both with each other and with a roster of inspirational scholars and teachers chosen for their commitment to legal education, the distinction they have achieved in their own careers, and the diversity of their scholarly and pedagogical approaches. These speakers will pass along valuable advice about developing, placing, and promoting one’s scholarship as well as tips and techniques for successful student engagement and assessment. They will also address the often competing demands of institutional service and the evolving expectations of law students and faculty colleagues. In contrast to when most of us joined a law school faculty in the past, an increasing number of today’s new teachers have a first article already written and a scholarly network already underway. Yet, there is something truly special about an event that draws together new professionals from around the country. For that reason among others, we look forward to welcoming new faculty members as they embark on this next phase of their legal career. The workshop will benefit those within their first few years of teaching in any program in the law school, tenure track, contract, and visiting assistant professors. The workshop will begin on Thursday, June 9 with registration at 4 pm and small group discussions at 6 pm. An opening dinner will be held at 7:30 pm featuring a keynote address by Frank H. Wu, University of California Hastings College of Law. Dinner will be followed by a dessert and coffee reception. The workshop program includes two and a half days of plenary sessions, concurrent sessions and small group discussions. The workshop will conclude by 4 pm on Saturday, June 11. In addition to the program sessions, there will be luncheons on Friday and Saturday and a reception on Friday evening. Welcome to the 2016 AALS Workshop for New Law School Teachers in Washington, DC. Below you will find detailed information regarding registration, fees, and logistics. Please take time to review the FAQ page, which provides answers to many common questions. If you have additional questions email our Registration team. You may register for the Workshop for New Law School Teachers by one of the methods listed below. If you find you are unable to register online then you may not yet be listed in the AALS database. In that case, please contact your Dean’s office to be added to the AALS Law School Roster. Once added you should be able access your AALS account and register online. If you need assistance with this process, contact Support. Use the buttons above to access the online registration system for both individual and group registration for the Workshop. You can pay the registration fee online by using American Express, Visa or MasterCard. If you would like to pay using a paper form please contact the AALS Registration team. AALS accepts American Express, Visa, MasterCard, or checks (made payable to Association of American Law Schools). You may fax the form to AALS at (202) 872-1829. If paying by check, please mail to AALS, at 1614 20th Street, NW, Washington, DC 20009-1001. Note that, in accordance with payment Card Industry Association standards, registration by email is no longer available as of July 1, 2015. For all registrations received after June 2, 2016 there is an additional on-site charge of $50. Plan to register on-site if your paper registration form will not arrive at AALS by the June 2 deadline. AALS accepts cash, personal or school checks, American Express, MasterCard, and Visa on-site at the Workshop. AALS automatically sends two email confirmations shortly after submission of your paid registration. Confirmations should be received within 48 hours for online and faxed paper registrations, and within two weeks for mailed check payments. If you have not received a response within that time frame please first check your spam folder. Contact AALS the Registration team if you would like to confirm that your registration has been received and successfully processed. Registration fees will be refunded, less a $50 processing fee, for written cancellation requests received by May 26, 2016 at registration@aals.org. Cancellation requests can also be made by regular mail to: AALS Registration, c/o Erick Brown, 1614 20th St. NW, Washington, DC 20009. No refunds will be given for cancellations received after May 26. The meeting sessions and sleeping accommodations will be at the Renaissance Washington, DC Dupont Circle Hotel, 1143 New Hampshire Ave NW, Washington, DC 20037. To make reservations, please first register for the workshop. After completing your meeting registration, you will receive a confirmation email from AALS with instructions for booking a hotel reservation at the Renaissance Dupont Circle Hotel. The AALS room rate is $199 for single or double occupancy. All rooms will be subject to established taxes; currently tax is 14.5 percent. There is a $20 charge for each additional adult in the room beyond two. Children staying in the same room with their parent(s) are free of charge. The Renaissance Dupont Circle Hotel check-in time is 3 p.m.; check-out time is 12 p.m. The hotel is smoke-free. The Renaissance Dupont Circle Hotel will provide AALS attendees with high-speed internet access in your sleeping room on a complimentary basis for each day of your stay. The cut-off date for making a room reservation is May 18, 2016. Making a reservation prior to the cut-off date does not guarantee availability of the AALS rate. For the best rate, please make your reservation early. A hotel reservation guaranteed by a credit card for late arrival may be cancelled without penalty by 6 pm on your arrival date. A hotel reservation not guaranteed by a credit card for late arrival will be held only until 6 pm on your arrival date. The hotel will accept the following credit cards: American Express, Carte Blanche, Discover, Diners Club, MasterCard, and Visa. AALS has arranged for complimentary high-speed internet in the guest rooms. From your guest room, please log into the hotel’s guest room network, type your last name and room number, and then accept the internet charge, even though it is complimentary; no internet charges should appear on the guest room account at checkout. Complimentary wireless internet is also available in the hotel lobby. For breakfast, the Renaissance Dupont Circle Hotel has M Brasserie, which serves your choice of an a la- carte or buffet breakfast. For lunch and dinner, M Bar is open for light fare. There are many other dining options in the nearby area. Please visit with the concierge for suggestions and reservations. For standard babysitting services, contact the hotel concierge by calling (202) 347-3000 for information. Neither the hotel nor AALS recommends these services, but provides this information for your reference. The Renaissance Dupont Circle Hotel is located about 5 miles and about 15 minutes from the Ronald Reagan Washington National Airport (DCA); estimated taxi fare is $22 each way. All taxicabs dispatched at Reagan Washington National Airport must have and use taxi meters. Super Shuttle provides door-to door service (with other stops) to the hotel at a cost of $15 each way. The Super Shuttle booths are located in the baggage claim areas in both the north and south ends of the terminal. 24-hour advance reservation is required for the return to the airport. Call (800) 258-3826 for reservations and information or visit SuperShuttle.com for online reservations. To ride Metro (Washington, DC’s subway system) from Reagan Washington National Airport, the Renaissance Dupont Circle Hotel is accessible either via the Red Line – Dupont Circle Metro stop – or the Blue/Orange/Silver Lines – Foggy Bottom/GWU Metro stop. For more information visit Metro’s website at WMATA.com. The Renaissance Dupont Circle Hotel is located about 25 miles and about 45 minutes from the Dulles International Airport (IAD). Estimated taxi fare is $55 each way (use metered cab). Super Shuttle provides door-to-door service (with other stops) to the hotel for $15 each way. Proceed to the Ground Transportation desk in the baggage claim area to purchase a ticket. You can then proceed to the Super Shuttle boarding area located on the lower level, outside at curb 1D or 1F. Twenty-four-hour advance reservation is required for the return to the airport. Call 800-258-3826 for reservations and information or SuperShuttle.com for on-line reservations. The Renaissance Dupont Circle Hotel is located about 35 miles and one hour from the Thurgood Marshall Baltimore-Washington International Airport (BWI). Estimated taxi fare from BWI is $68 each way. Super Shuttle provides door-to-door service (with other stops) to the hotel for a fare of $15 each way. Go to lower level and follow signs to the Ground Transportation desk located between carousels 6 and 7. Twenty-four -hour advance reservation is required for the return to the airport. Call (800) 258-3826 for reservations and information or SuperShuttle.com for online reservations. Union Station is about three miles from the Renaissance Dupont Circle Hotel; taxi fare is approximately $20. Union Station services both Amtrak and Metro (Washington, DC’s subway system). On Metro, take the Red Line directly from Union Station to Dupont Circle Metro station for the Renaissance Hotel. The Renaissance Hotel is also close to the Foggy Bottom/GWU Metro Stop, accessible via the Blue/Orange/Silver lines. For more information about trains with routes to Union Station, visit Amtrak.com. The Washington, DC subway system is called Metro. The Renaissance Dupont Circle Hotel is accessible either via the Red Line – Dupont Circle Metro stop – or the Blue/Orange/Silver Lines – Foggy Bottom/GWU Metro stop. For more information visit Metro’s website at WMATA.com. Metro operates seven days a week. Rail stations open at 5 a.m. on weekdays and 7 a.m. on Saturday and Sunday. Metro closes at midnight on weekdays, and at 3 a.m. on Fridays and Saturdays. When traveling late at night, be sure to check the scheduled departure time for the last metro train. At many stations, the last metro train departs before closing, so it is important that you allow enough time to enter the system and board the train. Last metro train departure times are posted at each station kiosk. Phone: (202) 633-1000. Museum hours are 10:00 a.m. to 5:30 p.m. daily unless otherwise noted, and admission is free. The Anacostia Community Museum explores American history, society, and creative expression from an African American perspective. Please visit the website for directions. The Freer and Sackler galleries together form the national museum of Asian art for the United States. Accessible via the Smithsonian metro station. Conceived as the nation’s museum of modern and contemporary art, the Hirshhorn Museum and Sculpture Garden hosts an in-depth collection of modern masters and works by emerging artists; cutting-edge films; sculptures by Rodin, Matisse, and Moore on the plaza and in the garden. Accessible via the L’Enfant Plaza metro station. The Smithsonian Institution’s National Air and Space Museum maintains the largest collection of historic air and spacecraft in the world. Accessible via the L’Enfant Plaza or Smithsonian Metro stations. Dedicated to the collection, research, and exhibition of African art. Accessible via the L’Enfant Plaza or Smithsonian metro stations. The National Museum of American History collections form a fascinating mosaic of American life and comprise the greatest single collection of American history. Exhibitions explore major themes in American history and culture, from the War of Independence to the present day. Accessible via the Federal Triangle and Smithsonian metro stations. The National Museum of the American Indian is dedicated to the preservation, study, and exhibition of the life, languages, literature, history, and arts of Native Americans. Accessible via the L’Enfant Plaza metro station. The National Museum of Natural History is dedicated to understanding the natural world and our place in it. The museum is also home to the Johnson IMAX Theatre. Accessible via the Federal Triangle metro station. Through the visual arts, performing arts and new media, the Portrait Gallery portrays poets and presidents, visionaries and villains, actors and activists whose lives tell the American story. Accessible via the Gallery Place metro station. The National Postal Museum began in 1887 with a sheet of ten-cent Confederate stamps. Since then it has expanded to include more than 5.9 million items regarding postal history and stamp production. Accessible via the Union Station metro station. At the National Zoo, guests can marvel at wonderful animals, learn about wildlife and its conservation, and enjoy a beautiful, peaceful experience in the gardens. Attendees can walk from Marriott Wardman Park—accessible via the Woodley Park Zoo/Adams Morgan metro station. The Renwick Gallery is home to the Smithsonian American Art Museum’s collection of contemporary craft and decorative art, one of the finest and most extensive collections of its kind. Accessible via the Farragut West or Farragut North metro stations. The Smithsonian American Art Museum is dedicated to the art and artists of the United States. Accessible via the Gallery Place metro station. Hours: Monday through Saturday, 10:00am – 5:00pm. Sunday, 12:00pm – 5:00pm. The Folger Shakespeare Library is home to the world’s largest and finest collection of Shakespeare materials and to major collections of other rare Renaissance books, manuscripts, and works of art. Accessible via the Capitol South metro station. Hours: See website for museum schedule and performance calendar. Ford’s Theatre blends its rich history with performance excellence in serving as a living tribute to President Lincoln’s love of the performing arts. Accessible via the Metro Center metro station. Hours: Monday through Saturday, 10:00am – 5:00pm. Sunday, 11:00am – 6:00pm. The Gallery’s active art collection includes paintings, sculpture, and works of art on paper, from the late middle ages to the present, from Europe and the United States. Accessible via the Federal Triangle and Smithsonian metro stations. Hours: Monday through Thursday, 10:00am – 5:00pm. Sunday, 11:00am – 5:00pm. The National Building Museum is America’s premier cultural institution dedicated to exploring and celebrating architecture, design, engineering, construction, and urban planning. Accessible via the Judiciary Square metro station. Welcome to the National Museum of Women in the Arts, the only museum in the world dedicated exclusively to recognizing the contributions of women artists. Accessible via the Metro Center metro station. The Newseum offers a unique environment that takes museumgoers behind the scenes to experience how and why news is made. It features seven levels of galleries, theaters, retail spaces and visitor services. Accessible via the Archives-Navy Memorial metro station. Hours: Tuesday through Saturday, 10:00am – 5:00pm, with extended hours to 8:30pm on Thursdays. Sunday, 12:00pm – 7:00pm. Featuring a renowned permanent collection of nearly 2,500 works by American and European impressionist and modern artists, the Phillips is internationally recognized for both its incomparable art and its intimate atmosphere. Accessible via the Dupont Circle metro station, Q street exit. The United States Holocaust Memorial Museum is America’s national institution for the documentation, study, and interpretation of Holocaust history, and serves as this country’s memorial to the millions of people murdered during the Holocaust. Accessible via the Smithsonian metro station. 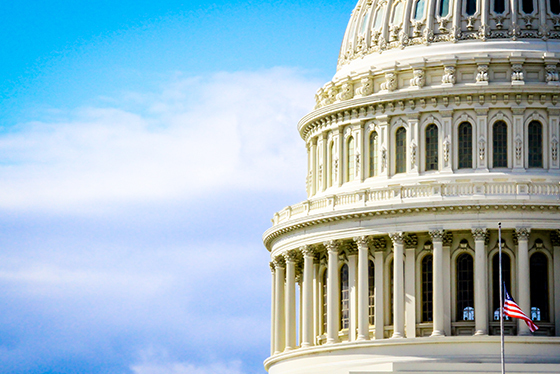 The Library of Congress is the nation’s oldest federal cultural institution and serves as the research arm of Congress. It is also the largest library in the world, with more than 130 million items on approximately 530 miles of bookshelves. Accessible via the Union Station metro station, Capitol South exit. The Rotunda of the National Archives houses the Declaration of Independence, Constitution, and Bill of Rights. Accessible via the Archives-Navy Memorial metro station. At National Geographic’s Washington, DC, headquarters, past and current expeditions, adventures, and scientific research come to life. Accessible via the Farragut North metro station. The U.S. Bureau of Engraving and Printing is the largest producer of security documents in the United States, printing billions of Federal Reserve Notes each year. Accessible via the Smithsonian Metro station. Hours: open 24 hours a day, 7 days a week; rangers are on duty to answer questions from 9:30am to 11:30pm daily. The Vietnam Veterans Memorial stands as a symbol of America’s honor and recognition of the men and women who served and sacrificed their lives in the Vietnam War. Accessible via the Foggy Bottom metro station. Hours: Tuesday through Sunday, 10:00am – 4:00pm. John F. Kennedy Center for the Performing Arts, 2700 F St. NW. Phone, or at the box office. Accessible via the Foggy Bottom Metro station. DC dining offers an eclectic food scene from comfort and ethnic food to fine dining, with innovative chefs shaking up DC’s restaurant scene. Here you’ll find restaurants for every palate. AALS is committed to making our meetings and events accessible to all of our attendees. Please contact the AALS at accommodations@aals.org no later than May 6, 2016 so that we may assist you with services that you need. All AALS events are smoke-free and, as often as possible, held in smoke-free venues. Smoking is not permitted in any meeting or session rooms, business or networking events, or AALS-sponsored social events. Please be aware that some venues (i.e. off-site) may allow smoking in public areas. Cigarettes may be used in designated smoking areas as determined by the venue. Specific requests can be made to hotels within our block and the meeting venues that chemicals not be used in guest rooms on carpeting or other surfaces. AALS will provide a room with electrical power, a refrigerator and a locking door for nursing mothers who attend AALS meetings. Please visit the AALS Registration Desk for access to the room. AALS hotels and meeting venues will be asked to provide adequate aisle space and cut-outs for persons with wheelchairs and other mobility devices in all meeting rooms and locations. Please note standard head tables (when used) include a podium and microphones on the tables and podium. If you are presenting and require additional accommodations (such as a ramp, or lavaliere microphone), please contact AALS at accommodations@aals.org in advance. Every effort will be made to set meeting rooms/locations to accommodate all attendees, both speakers and audience members. Because the Workshop can have numerous concurrent sessions, there can be considerable distances between sessions. If you are a regular wheelchair user, we suggest you bring your chair with you to the meeting. Should you require an aide or personal assistant to help navigate the workshop, AALS will register your aide as a complimentary guest. Please contact accommodations@aals.org to register your personal aide (name, city, and state is required for the badge) which can be picked up at AALS Registration. Personal aides may attend sessions and AALS sponsored meals. If you need AALS to arrange for an aide to help you navigate the meeting, please email your request to accommodations@aals.org or call (202) 296-4756 to outline the specific type of assistance required. In order to best accommodate your request, we ask that you notify us of your request as much in advance of the meeting as possible. Sign Language Interpreters: Attendees may request a sign language interpreter for the Conference. Please email your request to accommodations@aals.org by May 6, 2016. Sign language interpreters are provided for AALS-sponsored events only. CART: Communication Access Real-time Translation (CART) is a word-for-word speech-to-text interpreting service for people with a hearing loss or who would otherwise benefit from this accommodation. Attendees may request CART service for the Conference. CART will be provided for AALS-sponsored events only. Please email your request to accommodations@aals.org by May 6, 2016. ADA-designated hotel rooms in the AALS conference hotel will be specifically set aside for individuals requesting them. Please notify hotel of your request as much in advance as possible as late notice may be difficult to accommodate based on occupancy level. What is the registration deadline this year? Registrations should be sent in time to arrive at AALS by June 2, 2016. If your registration and payment will not arrive by that date, it will be necessary for you to register on-site or by using the online registration system. Note that there is a $50 on-site fee for all registrations made after June 2. Does AALS offer a one-day registration fee? We do not offer a one-day registration or per-session fee. Registration is for the entire Workshop for New Law School Teachers. As a full registrant you will have access to all Workshop programs, receptions, and hospitality events described in the Workshop brochure. Your username is typically your school-affiliated email address. If you have never used online registration, you should first contact your Dean’s Office to ensure you are listed with your school on the AALS Roster. For further assistance with this process you can email AALS Support. For other questions about your AALS account please email Registration. Use this link to have an email sent to your school address to reset your AALS account password. You may also use this link if you have never set up a password for your AALS account. We strongly encourage online registration using our secure website. We offer the option to submit a paper registration form by fax to (202) 296-1829, or regular mail (using check or credit card payment options). Mailed submissions of the paper form should be sent to: AALS, 1614 20th St. NW, Washington, DC 20009. Please note that we no longer accept submission of registration forms by email. Unfortunately, AALS is not able to accept payment by electronic deposit or wire transfer. What is the cancellation policy for the 2016 Workshop for New Law School Teachers? Registration fees will be refunded, less a $50 processing fee, for written cancellations received by May 26, 2016 at registration@aals.org. Cancellations received after this date, as well as no-shows for the Workshop, are not eligible to receive a refund of registration fees. Cancellation requests can also be made by regular mail to: AALS Registration, c/o Erick Brown, 1614 20th Street NW, Washington, DC 20009. How can I make additions or changes to my registration? You are welcome to login and add sessions, workshops, etc. to your registration once it has been completed using online registration. You may also submit requests for additions or changes to the Registration team by email. I need to cancel my registration. Can I send another faculty/staff member from my law school in my place? If you find that you are unable to attend the Workshop for New Law School Teachers, you may authorize the transfer of your registration to another faculty or professional staff member of your law school. Requests to transfer your registration must be made in writing; by email to registration@aals.org, by fax to (202) 872-1829, or by mail to: AALS, 1614 20th St. NW, Washington, DC 20009. Submission of a paper registration form for the substitute registrant. Please submit only by fax or mail if including any additional payment information by credit card. How can I request Access-Related Accommodations for the Workshop? For information on access-related accommodations please visit the Accessibility webpage (by clicking the “Accessibility” tab directly on the left). For further information, contact AALS accommodations at accommodations@aals.org so we may assist you. Where is AALS Registration located and when is it open? Registration will open on June 9 at 4pm and stay open until 8pm that evening. The location is TBD at the Renaissance Washington, DC Dupont Circle Hotel. Complimentary internet access is available in guest rooms and the hotel lobby, but will not be available in the conference areas. Valet parking is available at the rate of $49/day, with hourly rates available as well. Please visit the hotel website for more information about hotel parking. Yes, your Workshop badge is required for entry into all sessions and events. What type of clothing is appropriate for the Workshop? Although the meeting takes place indoors it is advised that you bring a jacket or sweater to meeting events, as meeting rooms can sometimes be cooler than expected. How do I make a hotel reservation at the Workshop hotel? You will receive a confirmation email from AALS containing a link with instructions for booking a hotel reservation online once you have completed your registration for the Workshop. If the hotel reservation email does not appear in your Inbox following registration please check your spam filters. Email AALS Registration if you’d like a copy resent to you. Where can I find information about the hotel online? 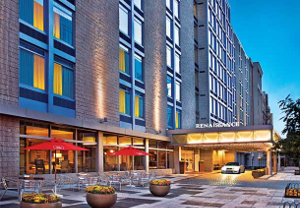 The hotel for the 2016 Workshop for New Law School Teachers is the Renaissance Washington, DC Dupont Circle Hotel. Visit the Housing website (by clicking the Hotels tab on the left) for more information about the hotel (rates, restaurants, complimentary services, amenities, and check-in/out times), as well as information on reserving a suite, travel tips, accessibility, and cancellations/refunds. The Workshop hotel will only accept online reservations made through the link you receive after completing your registration. If you have registered and cannot locate your confirmation email, please contact Registration. Hotel reservations should be completed by May 18, 2016. Making a reservation prior to the cut-off date does not guarantee availability of the AALS rate, so for the best rate it is recommended that you make your reservation early. All participants must register before making hotel reservations through the AALS hotel reservation website. Should you decide to mail your registration and payment by check, please allow 2-3 weeks for processing. I would like to share a hotel room with a colleague or have my family stay with me. Children under the age of 18 may stay free of charge in a parent’s room. There is an additional charge of $20 per person, per night for more than two adults (age 18 and above), sharing a room.